The wait wasn’t long and it was the news Duck fans needed. Sabrina Ionescu announced that she would come back to Eugene for her senior season in 2019-20. The two-time Pac-12 Player of the Year and All-American was eligible for the WNBA draft this week and it was speculated that Ionescu would be the No. 1 pick. 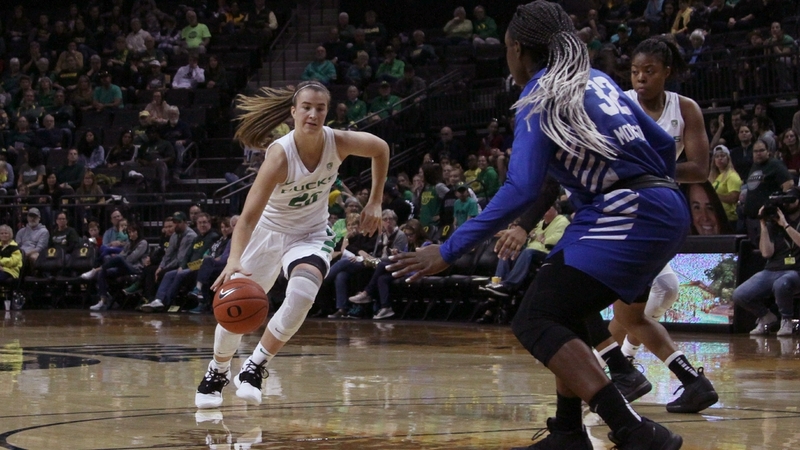 But instead of being playing for the Las Vegas Aces this summer, Ionescu will prepare for what could be a truly historic season. With Ionescu coming back, the Ducks should be a favorite to win the National Championship next season. And now I couldn’t be happier to announce that I’m coming back to the University of Oregon for the 2019-2020 basketball season. I won’t predict exactly how far we’re going to go….. but I’ll just say this. We have unfinished business .And I mean that from the bottom of my heart. Although they lost the National Semifinal game to Baylor last night, this might have been the best possible scenario for the Duck women’s basketball program. With Ionescu coming back for her senior season, Oregon might be a pre-season No. 1 team. They’ll also have Ruthy Hebard for her senior season, Satou Sabally as a junior and her sister Nyara coming back from a knee injury. Oregon will definitely miss point guard Maite Cazorla, but getting Ionescu back is a lift on the court and perhaps just as important, a life psychologically off the court. But on the court, it would be impossible to replace Ionescu’s 20 points, eight rebounds and eight assists a game. 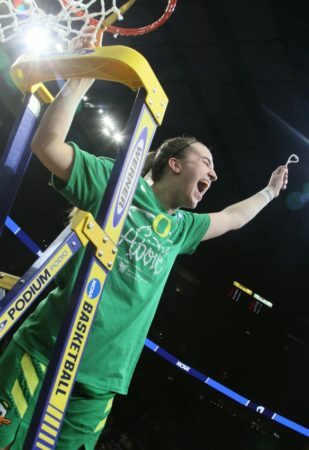 In retrospect, it shouldn’t be a big shock that Oregon’s best women’s player ever would come back. Unlike the men’s game, the WNBA doesn’t offer life changing financial contracts and Ionescu would get more exposure as a Duck than she would as a Las Vegas Ace.